ATMequipment.com provides ATM ISOs/IADs and ATM Operators with superior customer service and one-stop shopping for everything needed to operate an ATM business. ATMequipment.com is the most comprehensive ATM equipment and supply company in the industry. With 24/7 online access to purchasing ATM machines, parts and supplies, ordering and tracking for your business has never been easier. ATMequipment.com is a top-tier distributor for Nautilus Hyosung, Hantle (formerly known as Tranax), Genmega and Triton. More than just an exceptional ATM industry website, ATMequipment.com has an extensive Repair Service Center and repairs most brands of ATM components. ATMequipment.com is a US Board Member of ATMIA and play an active role in shaping and sustaining a healthy ATM industry long-term. Shop online 24/7 or learn more by visiting www.ATMequipment.com. As the largest wholesale distributor of ATM machines in North America, ATMequipment.com has tremendous buying power with top manufacturers, meaning they can offer you the most competitive prices in the industry. ATMequipment.com is a top-tier distributor for Nautilus Hyosung, Hantle (formerly known as Tranax), Genmega and Triton. ATMequipment.com has one of the largest ATM Parts Distribution Centers in North America with new and refurbished parts in-stock, all covered under a 90-day warranty. Need a part fast? ATMequipment.com provides immediate, same day shipping, Monday through Friday, and shipping as late as 6:30 p.m. EST. ATMequipment.com offers a wide variety of ATM signs, decals, and paper for you to choose from. ATMequipment.com’s signs and decals help draw attention to your ATM machine, resulting in higher transactions. ATMequipment.com also carries a large inventory of receipt paper for your ATMs. From Nautilus Hyosung, Triton, Hantle, Genmega and WRG, they have hundreds of cases of paper in stock that are ready to ship the same day. Add the perfect finishing touch to your ATM machine with ATMequipment.com’s Wooden Cabinets. ATMequipment.com builds easy to install wooden cabinets for your Nautilus Hyosung, Triton, Hantle and Genmega ATMs. Choose from a vast variety of color stains that make your ATM machine stand out from the crowd. Now it’s your turn to decide what you want to pay for your repairs. With the Repair Center’s Tiered Warranty Program, you can make your choice of a 3, 6, or 9-month warranty. Get the same industry leading service regardless of the warranty coverage you choose. ATMequipment.com’s #1 goal is to keep your ATM machines in service. Urgency on your repair is always free of charge with our quick 2-3 day turnaround on most items. ATMequipment.com - ATMequipment.com provides ATM ISOs/IADs and ATM Operators with superior customer service and one-stop shopping for everything needed to operate an ATM business. ATMequipment.com is the most comprehensive ATM equipment and supply company in the industry. With 24/7 online access to purchasing ATM machines, parts and supplies, ordering and tracking for your business has never been easier. ATMequipment.com is a top-tier distributor for Nautilus Hyosung, Hantle (formerly known as Tranax), Genmega and Triton. 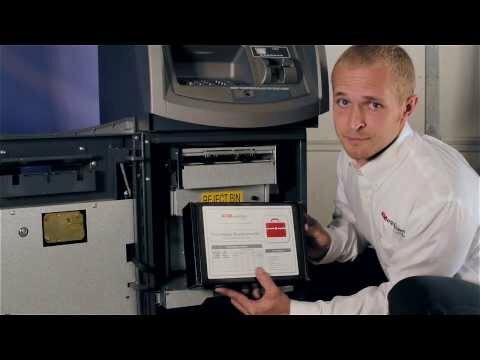 More than just an exceptional ATM industry website, ATMequipment.com has an extensive Repair Service Center and repairs most brands of ATM components. ATMequipment.com is a US Board Member of ATMIA and play an active role in shaping and sustaining a healthy ATM industry long-term. &ldquo;Since 2003, ATMequipment.com has become a valuable component of our business model. We value their integrity, honest prices, and ability to perform. ATMequipment.com is a trustworthy source of ATM machines, parts and service within the ATM industry.&rdquo; &ndash; Larry Dunnwald, President, MobileMoney Shop online 24/7 or learn more by visiting www.ATMequipment.com.